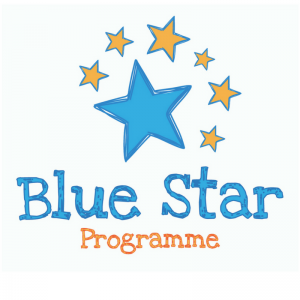 Please let us know if Ministers, MEPs, TDs, Senators, Ambassadors or other important people are visiting your school for the Blue Star Programme! The Blue Star Programme aims to foster better knowledge and understanding of Europe through classroom projects and activities. Come take part! We'd love to hear from you with any thoughts or feedback you might have, and we always love receiving photos of your work. Get in touch with us: bluestar@europeanmovement.ie! So now your work can begin in earnest! The next element of the Blue Star Programme is for each participating school to send in their Action Plan to give European Movement Ireland, as National Coordinator, an idea of the projects and activities you will be undertaking. Most importantly, we have gotten feedback that the Action Plan can be helpful for teachers in planning their lessons/activities for the year ahead. 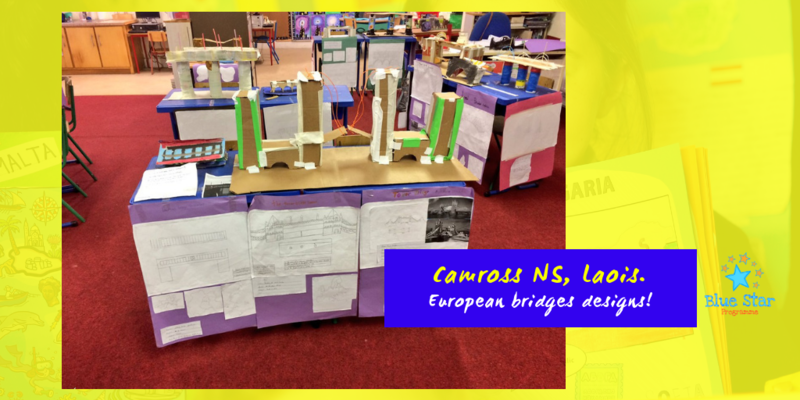 We love to see pictures all the time of work being completed by schools, and we love to share them via our social media and newsletter as well. So please, as you carry on with your work, get in touch and show us the work you are currently embarking upon! Many thanks to those of you who have already sent in their Action Plans! For those of you that still need to submit an Action Plan, we also have a Sample Action Plan accessible, to give you an idea as to what previous schools have done. 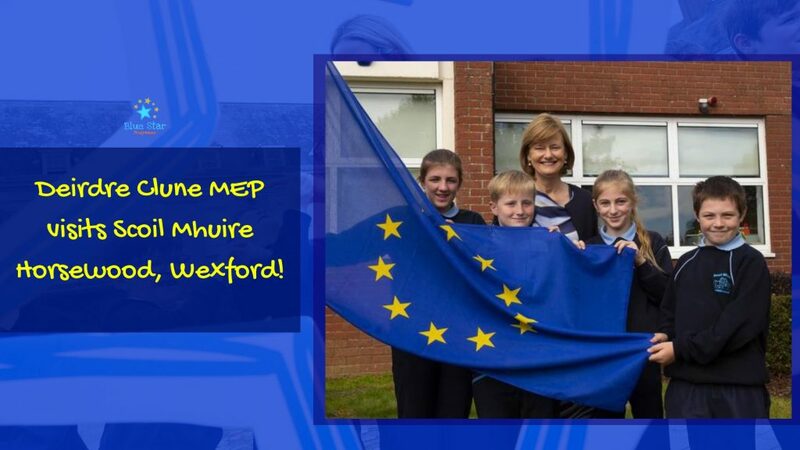 Why not write to your local MEP or invite one of the EU Ambassadors to visit your school? MEPs and Ambassadors love getting involved in the Blue Star Programme and seeing how pupils around the country are learning about the work of the EU, so don’t hesitate to drop them a line! We’ve put together contact details for Ambassadors and MEPs below to help you get in touch with them to organise a visit! For each year of the Blue Star Programme, we identify a different civic society element which can act as an overarching theme for the work of the pupils. These additional civic society elements have been highlighted by some teachers as the reason they repeat the Programme year-on-year. For 2018-2019, we will be focusing on the upcoming 2019 European Parliament Elections, due to take place 23-26 May 2019. Please note that it is not compulsory to include the theme but for those of you interested, some elements you can look at are; the nominations of candidates and who can become a Member of the European Parliament (MEP), voting procedures in the elections, the different political parties that make up the parliament, how do you vote at a European Parliament Election, how are the votes counted? We would love to see the European Parliament Elections 2019 integrated into this year of the Blue Star Programme – asking pupils to get creative and participate in and run a mock election, draw up ballot papers for candidates, conduct debates etc to showcase the importance of exercising your democratic right as a citizen of the European Union to vote in EU elections. Resource Packs, Consent Forms and Social Media! By now you should have all received your resource packs, and we are eager to see the work your schools accomplish throughout the Programme! Just to reiterate from also, here’s the Blue Star Programme’s Media Consent Form, which you can fill out here, and send back to us if you so wish. Over the course of the year, we like to showcase the work being done by Blue Star Programme pupils and teachers on our website, newsletter and on social media, and this form would allow us to include your school in this. Speaking of social media, we always love to engage with schools on Twitter, so feel free to follow @BlueStarProg and we’ll happily follow you back! This is where we will be posting Blue Star Programme social media content from now on. The Kids Corner on the Blue Star Programme website is currently going through a revamp and once it’s ready and updated, we will let you know!